SAF-T-CURETM NEOPRENE ELBOW LENGTH GLOVES contain a soft cotton interior comfortable for long wear. 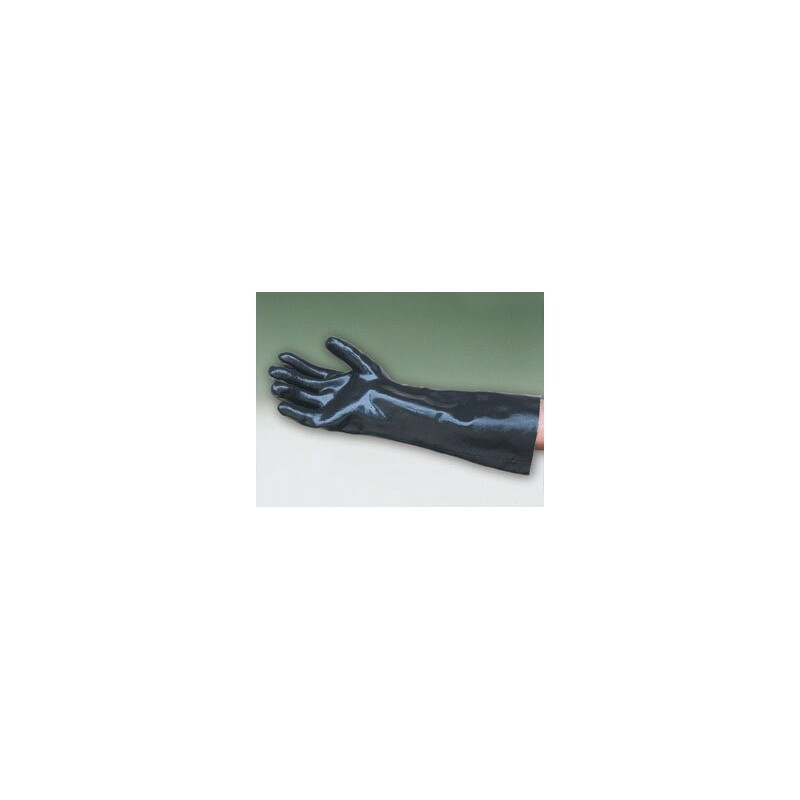 Suggested for repeated use while handling some solvents, acids, caustics, and conducting dipping operations. The elbow-length offers added protection and resistance to snags, cuts, and heat. Sold by the pair in large size only.